The viable presence on the web is not only necessary for online business, but also for offline one. The website enables interaction of your business with web world. Every business need face on the web. An effective website helps you to efficiently collaborate with employees, customers & vendors and serve the objectives of your business. Cityweb provide ultimate website design and development services in Nagpur. 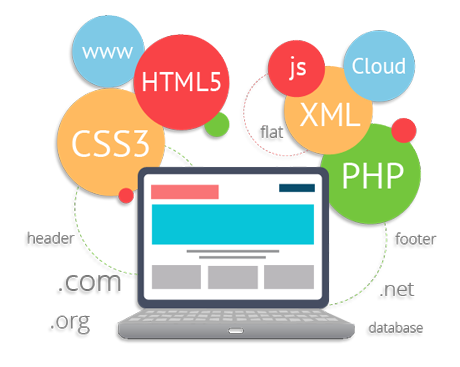 We developed websites with latest technologies to give you runtime solution. The flawlessly designed and developed websites help in business marketing and influence branding. The vast experience in the field of IT makes us capable of developing various web applications like Custom Management Software, Customized Web Solutions, Online Web Portals, Static, Dynamic & E-commerce web sites in latest technology and frameworks. A web development company in Nagpur offers market-centric web solutions that suit to every business from sole professional to large enterprises. Our web portals allow easy access and flawless communication with your customer. We provide you complete assistance from development to maintenance of the project to run it smoothly in real time. Our dedicated team of developers always strives to provide creative and innovative solutions in most affordable rates. We do also provide support for web hosting and domain hosting services to our clients to facilitate complete web services under one roof.